The mention of palm trees brings to mind beautiful images of long afternoons best spent by the beach watching the gentle fan-shaped leaves sway in the sea breeze as you sip a cold refreshing tropical breeze. It might be therefore surprising to learn that there are more than 2,500 palm tree species in the world, and a good number of them can be grown right in your backyard. Palm trees are tropical plants found chiefly in the coastal regions and can withstand extreme temperatures; making them the ideal trees for Florida residents. In addition to their tropical charm, palm trees such as the Sabal Palmetto have a greater overarching significance in Florida; this elegant and fan-shaped palm tree is Florida state tree. It is also known as cabbage palm, a name that originated Native Americans use of the terminal buds as food and enforced by the palm tree architecture that resembles a cabbage head in shape. The growing heart young frond (terminal buds) is the main ingredient in the heart of palm salad. The practice of harvesting terminal buds is, however, frowned upon as it is highly destructive and lead to the eventual death of the palm tree. At A Quality Plant, the trusted dealers and suppliers of Sabal palm trees in Florida, we stock a great variety of palm trees to help you create a tropical paradise, right in your backyards. When you need to pledge your patriotism to the state of Florida by having the hardy and useful tree growing in your garden; acquire a 6-20 foot clear trunk Sabal Palm aqualittree.com at the affordable price of $89. What’s more, you can also procure the elegant Queen Palm for $225 or line up your driveway with the fast maturing 8-14 foot Washingtonia Palms for $75, and watch a tropical paradise unfold, one tree at a time. Palm trees not only lend their pleasant aesthetic appearance to creating a beautiful gardens and landscapes around your properties, but they also significantly improve their market values. In some cases, as we have learned from realtors around Florida, property values have appreciated by up to 25%; occasioned by well landscaped, mature gardens. 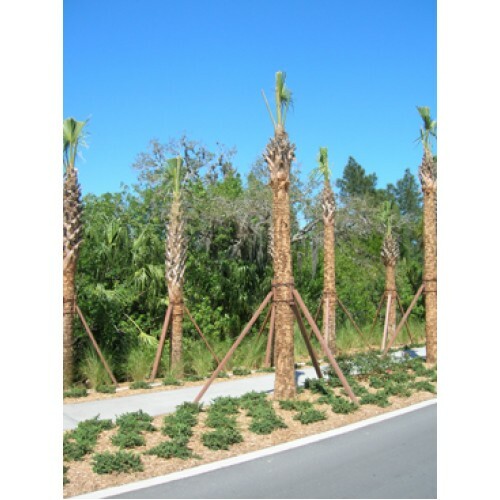 At A Quality Plant, we are sabal palm trees Florida choice of supplies as well as the one-stop shopping destination for all your palm tree needs. Palm trees are an efficient, yet creative way of demarcating property boundary as well as ensuring privacy around your compound. There are different varieties of tree in addition the sabal and pineapple palms, that can enhance privacy while creating a beautiful and serene shelter from the scorching Florida sun. Some smaller palm varieties such as the Bismarck, Chinese fan and lady palm trees are often planted around swimming pools to ensure privacy as well as to cultivate a tropical feel. All palm varieties are available from the number one sabal palm trees Florida suppliers of choice. All palm trees are relatively easy to maintain and come with the added advantage of not shedding their leaves. The might have been some of the factors that informed the intensive legislative debate of 1953, that picked the Sabal palm over the longleaf and slash pine trees as the official tree of the sunshine state. Get your state tree from renown sabal palm trees Florida suppliers, A Quality Plant.